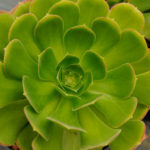 Aeonium urbicum (Chr. Sm. ex Hornem.) Webb & Berth. 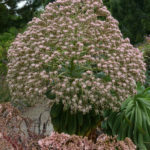 Aeonium urbicum is a rare, robust and easy to grow, drought tolerant succulent that makes one of the biggest flowerhead you’re ever gonna see. 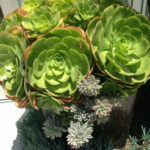 It is one of the tallest Aeoniums and it can reach up to 6 feet. 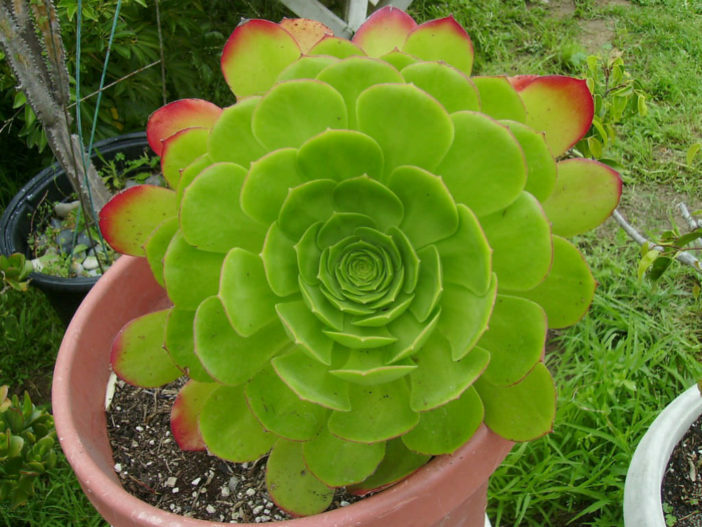 Its pyramidal inflorescence easily reaches 3 x 3 feet in size. 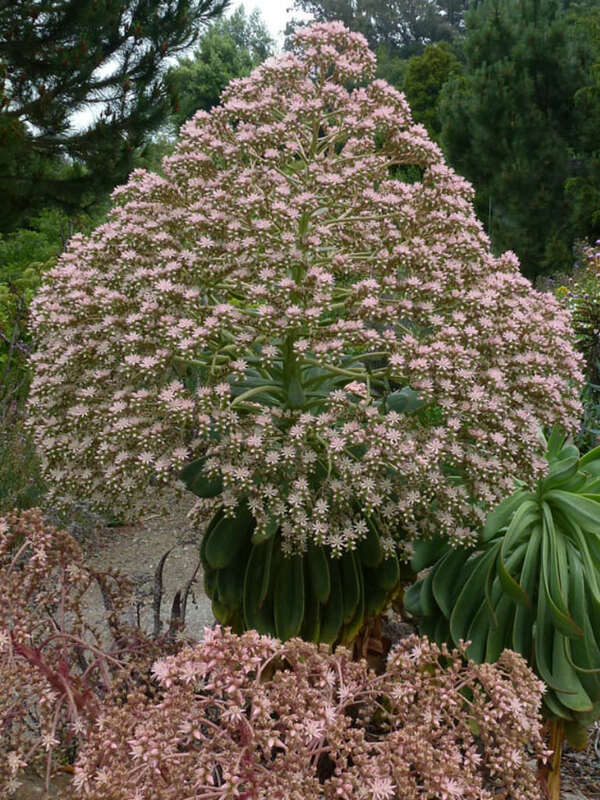 Pink or white starry blooms appear July through August. 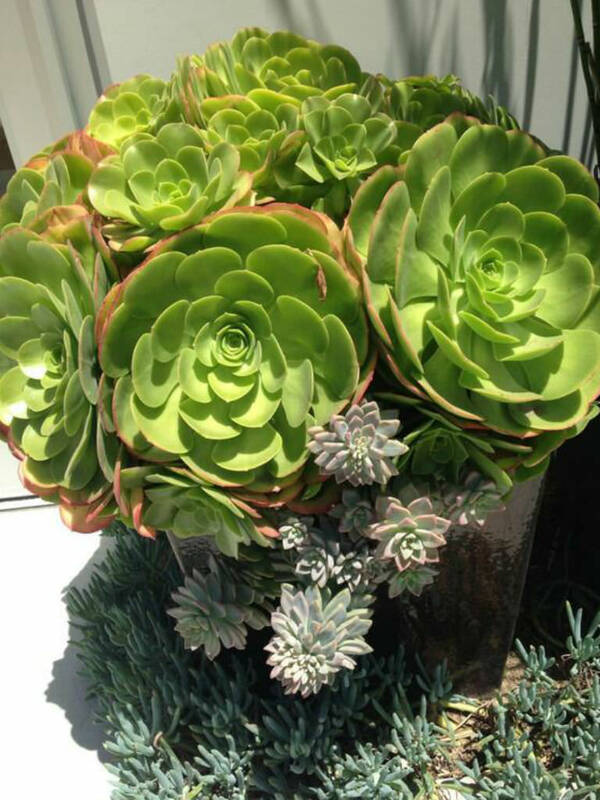 Strikingly architectural, even when not in bloom (which takes a few years) with long leaved, smooth rosettes up to 20 inches (50 cm) across. 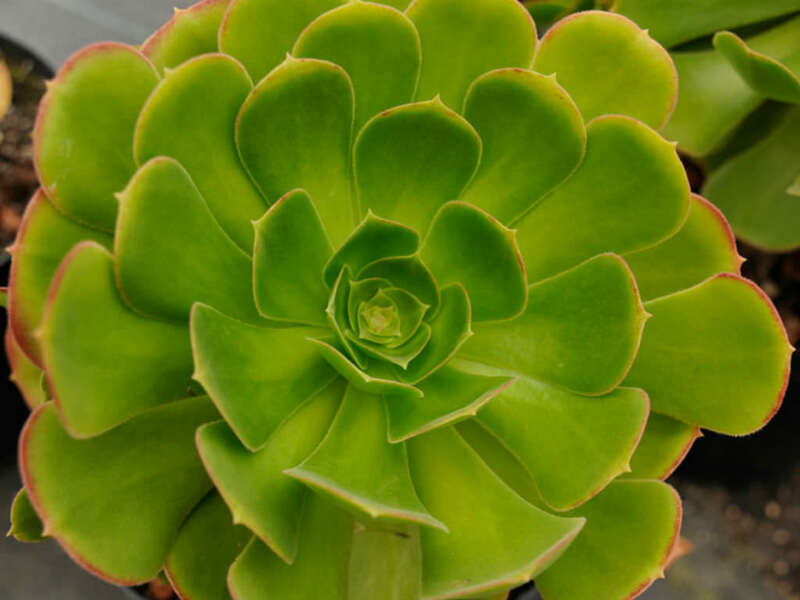 Native to Canary Islands (Tenerife).